Be on the lookout for our Stuff-a-Cruiser event! 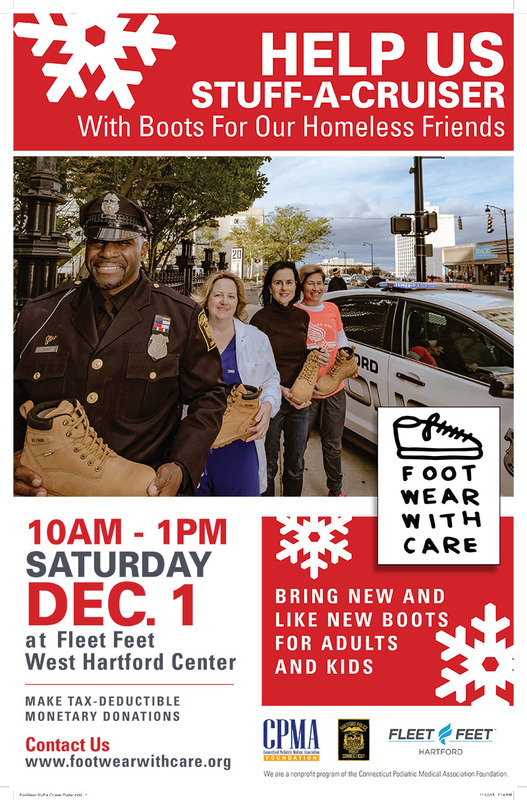 Saturday, Dec. 1, at Fleet Feet in West Hartford Center. Can’t make the event? Click here to print out the poster and share with others.